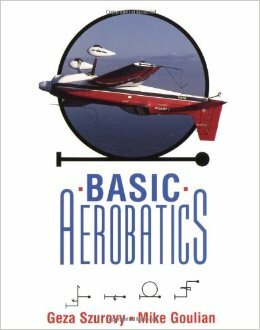 Enjoy the aerobatics experience with this complete guide by Mike Goulian and Geza Szurovy, who tell you not only how to perform the maneuvers, but why the airplane behaves as it does. A variety of maneuvers-loops, slow rolls, Cuban eights, inverted flight, and many more are discussed and illustrated with diagrams and in-flight photos. 288 pages, 90 illustrations. Published in 1994. Purchase this book at Amazon.com, Barnes & Noble or PilotShop.com.